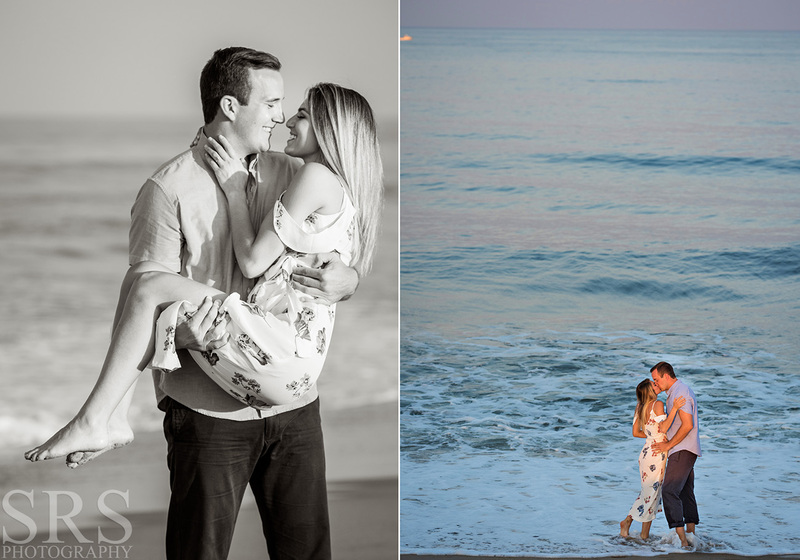 Wow-what an evening we had for Lauren & Damian’s recent engagement session on Sea Girt beach! 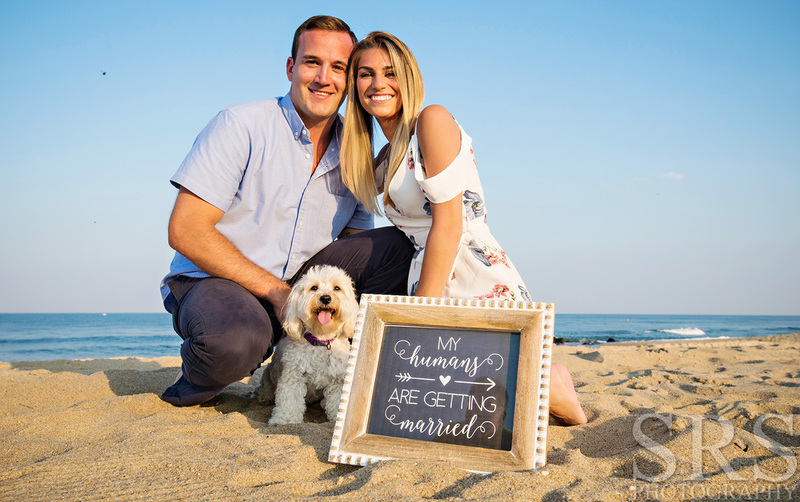 Lauren looked gorgeous in her flirty, off the shoulder summer dress, and Damian is an All-American handsome young man who had no problem lifting his beloved straight up in the air! 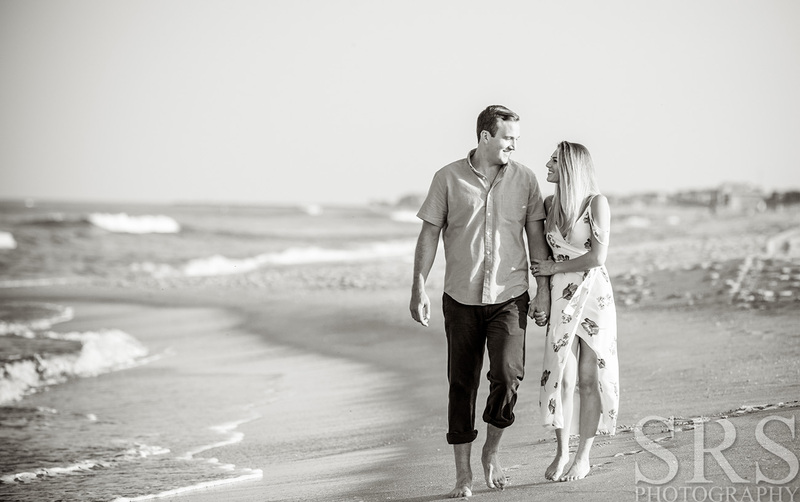 Together they make a stunning couple and they are beyond sweet together! We started with a quick shot of L&D with their cute little Maltipoo 😉 I was so grateful for the beautiful light of an epic “magic hour”. It was a treat spending some time to get to know them, I’m truly looking forward to their big day next June!